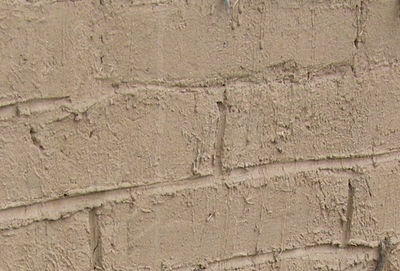 Soil is mixed with water and used as mortar for various types of masonry construction. 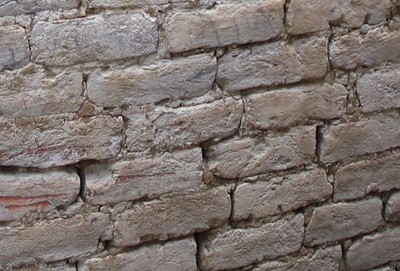 It is characterized by earthen colour, and it can be easily scratched (removed) from the wall using a sharp object (like a key).This type of mortar can be found mostly in adobe construction (e.g. Latin America and Asia), and stone masonry housing construction in remote rural areas where cement and/or lime are either unavailable or too expensive (e.g. south-east Asia). Mud mortar is a low-strength mortar, and it is the weakest of all mortar types.